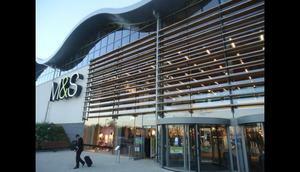 M&S is testing an array of digital goodies in its new Cheshire Oaks store in a move which demonstrates the range of tactics multichannel retailers can use to enhance the shopping experience. The new store will use high definition TV screens to showcase products, staff equipped with iPads, virtual counters, lots of QR codes and free wi-fi. It’s a smart move from M&S, and indicates that the retailer is well aware of the need for the high street to adapt to the challenges posed by the web. The various digital devices, such as the virtual makeup counter, should help to provide more of a ‘wow factor’ for shoppers, and should make it easier for customers to order out of stock items for home or in-store delivery, but the most significant step may be the provision of free wi-fi. More and more people are entering high street stores armed with smartphones, and M&S is wise to look to take advantage of this trend. An Econsultancy / Toluna survey from last year found that 19% of UK consumers had used their mobiles to compare prices while in stores. Early results from this year’s follow up survey show that this is now more like 30%. While, thanks to the fact that cheaper prices for products can be found online (often via Amazon’s mobile apps), some retailers may be concerned about customers using mobiles in store, it’s better to adapt than to ignore or attempt to prevent this customer behaviour. Other retailers are already offering free wi-fi in stores. Tesco (if you sign in with your Clubcard), House of Fraser and, more recently, Debenhams. It allows retailers to enhance the in-store experience. With a reliable wi-fi connection, customers can access reviews and information on the products they are viewing there and then. This could be a very effective sales driver. Customers can find all of the information they need. If they can see reviews, product information and compare prices, then they have no need to go elsewhere. Of course, if a product is significantly cheaper from a rival retailer, then you may lose the sale. However, the convenience of buying there and then, and the ‘want it now’ factor shouldn’t be underestimated. Customers may linger longer. If customers are checking out products and reviews on their mobile, and know they can access a decent wi-fi connection, they are likely to spend more time in stores and spend more. It allows customers to access a wider product range. While many retailers are using kiosks for in-store ordering, they may become obsolete within a few years as customers already have the ability to browse and buy using their own devices. It allows for efficient customer targeting. This is the exciting bit for retailers. In return for free wi-fi, customers will often login and provide an email address and phone numbers. In the case of Tesco, customers log on with Clubcard details. This means that, as their customers are shopping, Tesco has lots of information on their purchase history and has the ability to target them there and then with special offers, coupons etc. This combination of location and personalisation could be very powerful. What Car and Confused.com’s new apps: are they any good? Confused.com has launched a new mobile app that uses GPS to rate and reward drivers. Available on iPhone and Android, MotorMate is a simple promotional tool that has the potential for adding some variation to the morning commute. Following the motoring theme, What Car also launched a new mobile app recently in iPhone, Android, Nokia and WP7. It allows users to value new and used cars and find dealers in their local area. Both apps come as free downloads, so how useful are they? Some in-app offerings will be enough of a pull for users, but other times the users might need a little push.